Indian Motorcycle will be launching the Chieftain Elite in India on August 12. Interestingly, the India website of Indian Motorcycle has already listed the Elite. What makes the Elite special is the fact that the classic cruiser comes with a custom paint job that takes 25 man hours and importantly each and every unit looks distinct. The Chieftain Elite is not for everybody as the company plans to make 350 units for the global market. We believe this one too will be a limited edition offering for the Indian market and will be reserved only for a select few. The newest introduction to the Indian Motorcycle portfolio will make use of the 1,811cc Thunderstroke 111 V-twin that puts out 161.6Nm at 3,000rpm. There are twin, 300mm discs at the front and a single, 300mm disc at the rear. 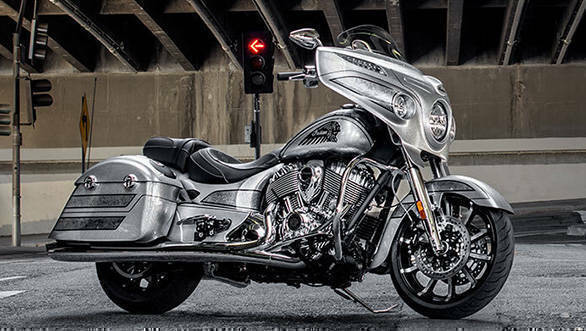 The suspension too is identical to the regular Indian Chieftain. Considering the fact that the Indian Chieftain Elite will be the top-spec offering, it will come with a host of goodies over the regular offering to justify its more premium tag. 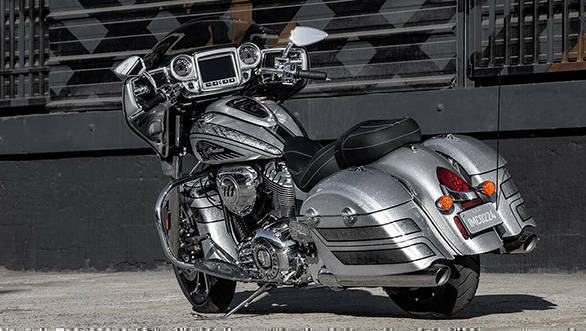 The features that we believe will be offered in the Chieftain Elite are cruise control, keyless start, remote-locking saddlebags, leather seats and adjustable passenger floorboard. Additionally, this one will also gets a touchscreen infotainment system with radio and smartphone connectivity and a 200-watt audio system with speakers.